LFC Minneapolis will be continuing their annual toy drive this holiday season in conjunction with ‘Toys for Tots‘. On December 1st, bring your toy to Brit’s and the club will collect then on that day. If you can’t bring a donation on Dec. 1st, please arrange with the club a prior date to donate. If you would like to give a cash donation, you can donate through PayPal using the button below. 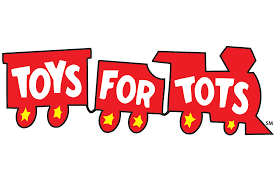 On December 12th, all funds raised and toys donated will be delivered to Toys for Tots. All funds sent to the club for this event will go directly to Toys for Tots.